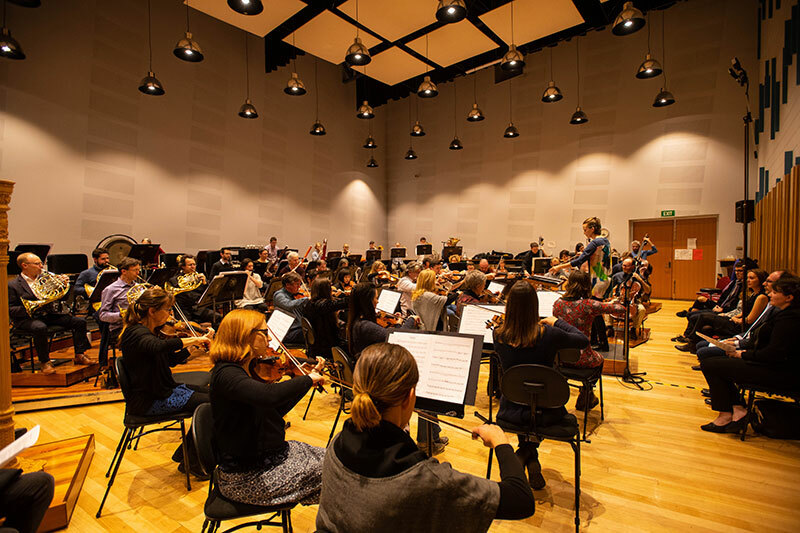 Holly Harrison writes about her experience as a participant in the Tasmanian Symphony Orchestra's Australian Composers' School, recently restructured into a 2-year program. 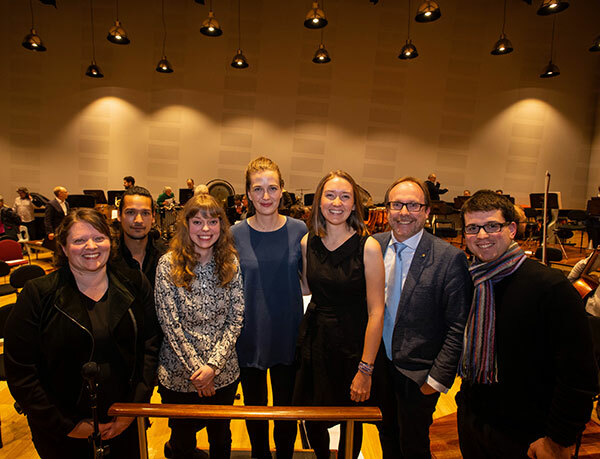 We also asked her to give an update about her latest work, including a string quartet for the recent Melbourne Chamber Music Competition and a new work to be premiered by Ensemble Offspring on 29 September. Matthew Hindson and Harry Sdraulig. Larger view. with audience and four composers present. Larger view. But my musical week wasn't over just yet! In the last couple of weeks I've been busy launching two albums, culminating in a Hobart launch at UTAS: Scout, with my improvised rock duo Tabua-Harrison, and Tinderbox, composed by John Encarnacao and performed by Espadrille. Both albums are released on Psychopyjama - you can check them out on the Bandcamp page. I've been up to lots of musical things so far this year. Other highlights include the premiere of my children's work A Mad Hatter's Tea Party for narrator (Lewis Carroll), flutes (Alice), clarinets (Mad Hatter), violin (March Hare), cello (Dormouse) and percussion (Time) at Canberra International Music Festival on 6 May. I also spent an exciting week in Melbourne at the beginning of July for the premiere of my string quartet Balderdash at the 2018 Melbourne International Chamber Music Competition. Balderdash was written as the required work for the string quartet division, and was performed by eight quartet finalists across three days. The work explores musical ideas inspired by electric guitar, as well as a combination of bluegrass and punk rock techniques, including distortion, white noise, whammy bars, power-chords, dive-bombs, wah-wah, phaser effects, slap bass, and of course, speaker feedback. There's plenty more happening soon (and more to be announced! ), with my next premiere by Ensemble Offspring in their 29 September concert, Spectral Tech. Come along to hear my new sextet Bend/Boogie/Break!